This is my brother Jacobo. 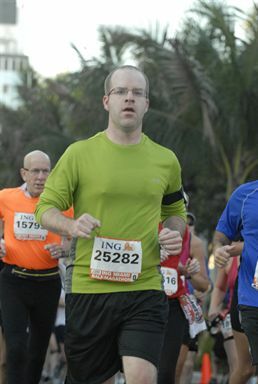 He ran the Miami Half Marathon on January 30th. This is particularly impressive because my family (myself included) is genetically engineered to prevent any kind of prolonged physical activity – with the exception of TV watching.